Publishing a blog via smart phone? There’s app’s for that! 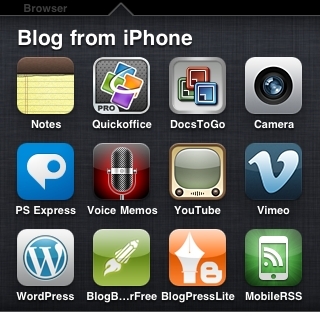 Publishing a blog via smart phone? 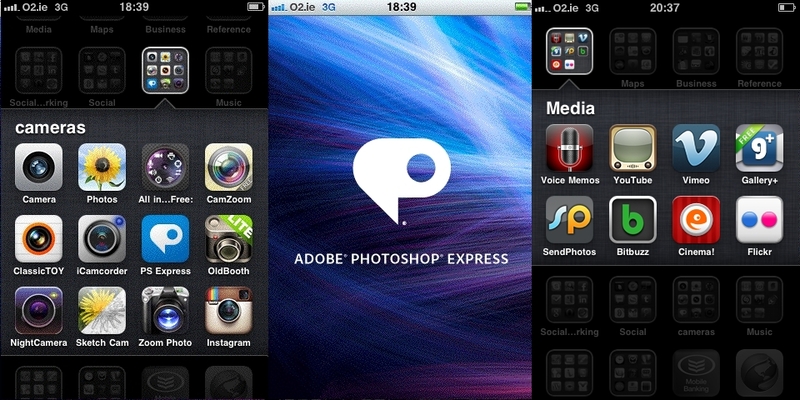 Someone put the question out there what apps do you use most on your iPhone? I had to admit that after the native apps such as calendar, there were a few games, like Solitaire & MahJong. Though my most used apps were to write, publish and read blogs. Composing the blog, calendar, notes, docs to go, google documents and my favourite Quick office pro. Quick office is an iPhone version Of Microsoft office. The word processing element of Quick office, docs to go and google docs are similar in use to microsoft word. Formatting to spell check. When taking photos with and from my mobile device, I use the native iPhone camera. Originally I ‘went to town’ on trying to find the best photo app, however the iPhone developers soon caught up with the apps available in their subsequent OS updates. From serious to sublime, I have 11 camera apps on my phone. PS photoshop. Is a lite version of Photoshop. It can crop, sharpen, change contrast, straighten along with a few more basic photo editing capabilities. The You Tube app allows you to view video and capture video links to paste into an article. WordPress uploader connects to the web and allows the user to paste their blog copied from which ever composing app they choose. Then editing or formatting the text is just like using wordpress. 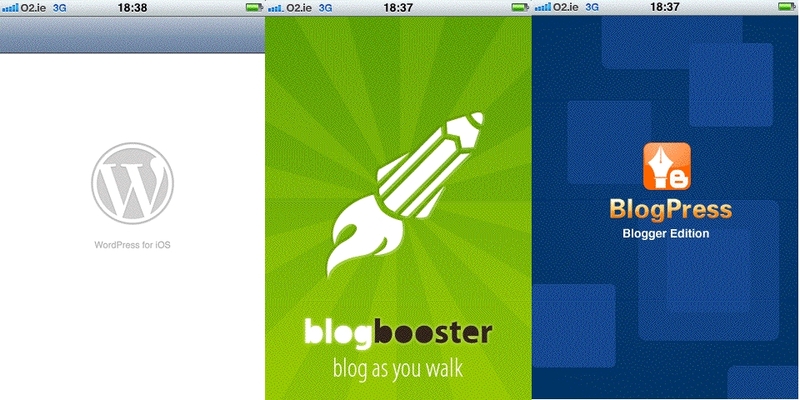 There is also an app called blog booster that will allow you to have more than one blog account & upload to other CMS systems such as blogger, joomla, typepad, tumbler, windows live. There is a BlogPress app to upload and work with blogger. Once the blog is uploaded, edited and published. It’s available to the public view and read via their web browser. Keeping up with the blogs I follow via my mobile phone I use Mobile Rss. It is similar in use to Google reader. Simplicity itself.